Your hunt for the perfect destination to party & let your hair down amidst great music, sumptuous food and of course, the best of spirits and brews from around the world has come to an end for you've reached Bike & Barrel! 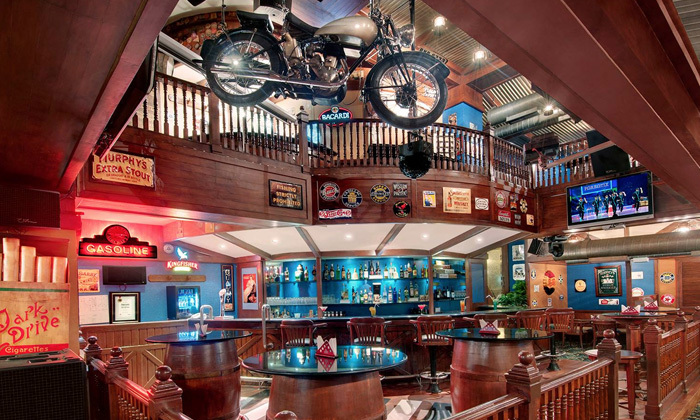 Located at The Residency Towers in T.Nagar, Bike & Barrel is a charming English pub where you and your gang (bikers or not) can have a blast! No matter what your day may have been like, just head to Bike & Barrel for hours and hours of pure, unadulterated fun. The setup is rustic and like we said before, charming in a way that its addictive. Complete with a well stocked bar, a pool table and a crazy in-house DJ, the pub is definitely the place for good times!